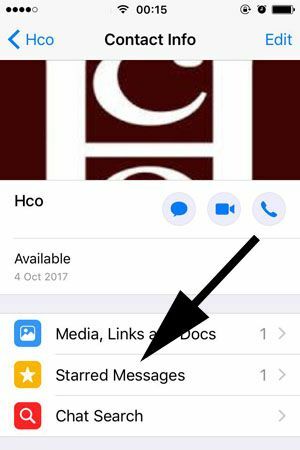 If you had a long conversation with someone on a messenger and if you need to find some certain messages on that talk, starred messages will help you to do that. 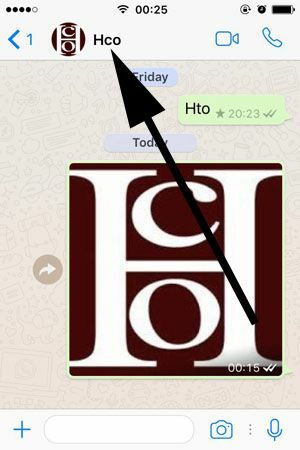 We will tell you how to find messages that you have starred on a conversation on WhatsApp on this page, our tips will be for iOS devices. You can do the similar steps on Android devices or you can wait for our incoming posts. We will mention about Android devices in the future on How to Chat Online. However if you have any questions for both iOS and Android, please don’t hesitate to ask at our Q&A service! 2-) Tap on the conversation that you would like to find starred message. 3-) Tap on the name of contact at the top of conversation. Please see the picture below. 4-) Tap on the “Starred Messages” button on the contact info page. Please see the picture. 5-) You will find the all messages that you have starred now.